Good product excellent value for money..
Good product. Battery works fine and provides even power throughout the round. Would recommend. I have only used it once to early days yet. Delivery was quick and hassle free. Delivery exactly as promised. Early days but so far battery performing well. Arrived within a couple of days. Charged it up and fitted it to the trolley and ran it for 18 holes. O.K. 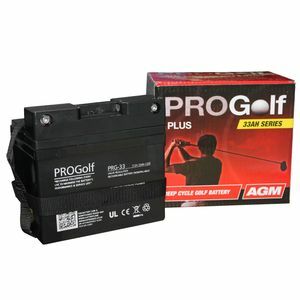 Recharged it and it ran fine for 36 holes.What more could you ask? a great service from Tanya arrived as promised on time, all appears well only time will tell how good it is but a good product for a good price. First class service and product thank you. I am very happy with the battery and service from your company.